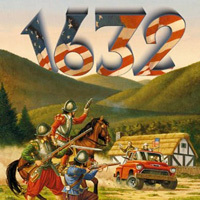 Join the Webster University Book Club on Monday, March 25, at noon in the Library Conference Room for a discussion of Eric Flint's "1632," the first novel in the alternate history book series exploring the effect of transporting a mass of people through time. Kim Kleinman, director of undergraduate advising and science historian, will lead a discussion of the book on March 25 at noon in the Library Conference Room. Everyone is welcome. A few copies of the book are available on reserve at the front desk of the library. 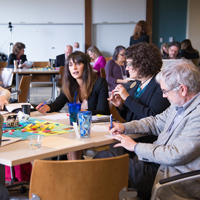 Registration is now open for the Spring 2019 Faculty Writing Retreat, to be held on Friday, March 8 in the Faculty Development Center Suite (Emerson Library, Suite 420). The Library and the Faculty Development Center invite all Webster faculty, both full-time and part-time, to participate. We welcome the Webster Athens Library to the Webster University global library catalog. They join St. Louis, Accra, and Vienna in a shared library catalog. 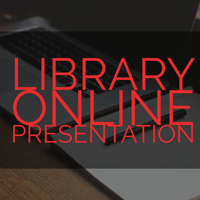 Each library can see their own collections as well as all the electronic resources. Students, faculty, and staff can also renew their items online. 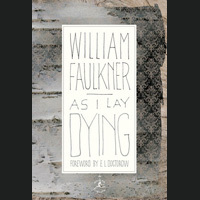 The Webster University Book Club's summer read is a classic novel that often appears on lists of the best literary works of the 20th century, William Faulkner’s "As I Lay Dying." 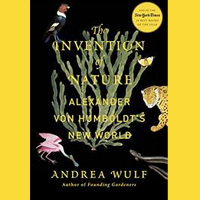 Copies of the book are available for check-out at the library’s front desk. Join us on July 16 at noon in Emerson Library, room 215. All are welcome! Webster students, faculty and staff may access Lynda, an online resource featuring a myriad of self-paced tutorials. 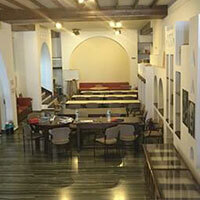 Video guidance on various softwares, workplace skills, and even programming languages is offered by expert instructors. Lynda is a great way to avoid "summer slide" or try out a new skill before enrolling in a class. Access Lynda through your Connections account for full course listings. 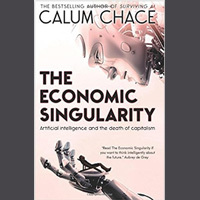 Join the Webster University Book Club in May for a discussion of Calum Chace’s 2016 book, "The Economic Singularity: Artificial Intelligence and the Death of Capitalism," May 21 at noon in the Library Conference Room. Everyone is welcome. Copies of the book are available on reserve at Webster University Library; just ask at the front desk. 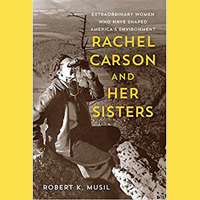 In honor of Woodrow Wilson Fellow Dr. Robert K. Musil's April visit, Webster University Book Club will read and discuss his 2014 book, "Rachel Carson and her Sisters: Extraordinary Women who Have Shaped America’s Environment." The book examines the activists, scientists, and writers who both influenced Carson and whom she influenced. Join us on April 23 at noon in the Library Conference Room. 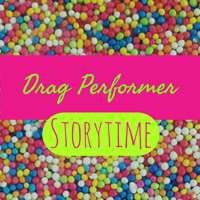 Webster University Library is excited to announce the 2nd Annual Drag Performer Story Time. Join us Saturday, April 7 from 10 a.m.- 1 p.m. for books, dancing, coloring and lots of fun with local drag performers. All ages are welcome. 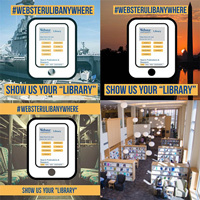 To raise awareness of the accessibility of its services around the world, the library is excited to announce the Library Anywhere Photo Contest. For the month of March, students are encouraged to post images on social media that will tell their stories. Because so many library resources are available online, the “library” might be a Viennese café, military barracks, or kitchen table strewn with crayons. Share using the hashtag #websterulibanywhere. 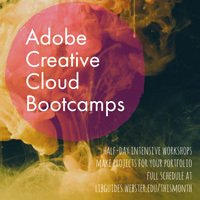 The Library is excited to announce a series of eight, half-day intensive workshops that will help students reach their potential in class and at work with Adobe Creative Cloud. Experts will teach a variety of subjects- creative resume building, 3-D printing, data visualization and more -- all using the Adobe products already available to students. Students will create an item for their portfolio that will allow them to share information and follow their passions. Registration is now open for the Spring 2018 Faculty Writing Retreat, to be held on Friday, March 9, 9 a.m.-4 p.m., in the Faculty Development Center Suite (Emerson Library, Suite 420). The Library and the Faculty Development Center invite all faculty, both full-time and part-time, to participate. If you’re struggling to set aside time for a particular project or you just need some momentum, mark your calendar for this retreat.